Few Indian promoters could conjure up a fraud of the magnitude that Ramalinga Raju has. Like Raju, however, a clutch of Indian promoters face a real danger of losing control over their companies, courtesy their pledging gambit. 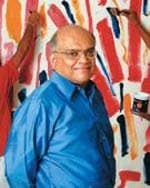 Virendra Verma & Rachna Monga report. In 2004, B. Ramalinga Raju, the erstwhile Chairman of Satyam Computer, along with his family, owned a little over 17 per cent of the IT services major. By September 2008, that holding shrank to 8.6 per cent. It had fallen further below 3 per cent at the time of writing. So, was Raju on a merry selling spree of his crown jewels? Not quite. Rather, the 53-year-old disgraced promoter was pledging his shares for cash. That worked like a charm when the markets were on a roll. But when the indices turned southwards, the value of the pledged shares also crashed. That’s when Raju would either have had to repay parts of the loan or—if he couldn’t do that—pledge more shares. He chose the latter, but that didn’t halt the vicious cycle. End result? Financiers who were sitting on around 2.45 crore Satyam shares pressed the sell trigger. And that explains how Raju’s holding came crashing down in a matter of months. It also explains how a falling market spelt the end of the road for Raju (the other nail in his coffin was driven by falling real estate prices). Few Indian promoters could conjure up a fraud of the magnitude that Raju has, even if they tried hard. Like Raju, however, a clutch of Indian promoters face a real danger of losing control over their companies, courtesy their pledging gambit. Great Offshore, MIC Electronics, K.S. Oils, Max India and Temptation Foods are just some of the companies whose shares have been pledged with lenders. These lenders have little choice but to sell the shares in the market when the owners of these shares can’t pay up. It could get even worse for promoters if the stocks sold by lenders land in the hands of potential hostile bidders, although nothing of that sort has happened. Not yet. So, why exactly are promoters willing to put on the line control of corporations that they’ve toiled for decades to build? The reasons vary—from raising funds in order to make fresh purchases of shares from the market, to ploughing back those funds into expansions. Of late, many promoters have been subscribing shares on conversion of warrants. For instance, the promoters of K.S. Oils, a mustard oil major, recently took a loan of Rs 50 crore from ECL Finance by pledging 9.25 per cent of their holding. “We have pledged shares to raise funds to convert warrants into shares,” says Sanjay Agrawal, Managing Director & Promoter of K.S. Oils. Then, many promoters of real estate companies, too, have pledged their shares when taking loans for purchase of land by the companies they had promoted. This kind of transaction happens when financiers are not comfortable lending just based on the land value, as selling of land could be difficult in case of default. For many years now, lending against shares was a common practice amongst promoters. As long as share prices were rising, there was little danger. Lenders such as nonbanking finance companies (NBFCs) and banks were comfortable doling out such loans. These loans typically have a tenure of between one and three years, and carry a margin of 2-3 times, which means that the value of the promoters’ shares pledged is 2-3 times the amount of the loan. For the NBFCs and banks, it’s a low-risk business as they can charge a mark-up of 3-4 per cent over the prime lending rate. “The risk in this business depends on the lender’s own sources of funding and its policies. We ensure that the promoter has free shares or reasonable other assets on the balance sheet to meet any margin requirement or to repay the loan. So, we extend a loan only if the promoter is pledging not more than half of his stake in the company,” says Rashesh Shah, Chairman & CEO, Edelweiss Capital. “Pledge of shares does not amount to disinvestment. Promoters often use pledge of shares to fund their contributions in new ventures. The concept of pledge of shares for funding is not new and has been in vogue across the globe for a long time,” points out Rajesh Mokashi, Executive Director, CARE Ratings. He adds that the lender has to ensure that his market risk is covered as the shares being pledged should be liquid enough to ensure recovery of dues from the borrower. Market players estimate the size of this market to be anywhere between Rs 30,000 and Rs 40,000 crore. GE Capital Services, Indiabulls Financial Services and Edelweiss Capital along with some foreign banks are the big players in this market. Some of these loans are converted into pass-through certificates (PTCs), an instrument which transfers the right to receive benefits to the buyer or holder of such PTC. These PTCs are sold to institutional investors such as mutual funds and banks. 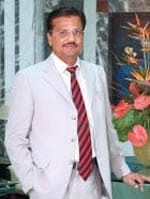 In March 2008, Ashwin Dani, a promoter of Asian Paints Ltd (APL), took a Rs 65 crore loan from GE Capital Services India by pledging his shares and giving a personal guarantee. The loan was structured through APL’s investment arm, Geetanjali Trading and Investment Pvt Ltd., through which Dani holds a stake in the paints flagship. The PTC was assigned an A1 rating by credit rating firm ICRA. In its rating rationale, ICRA said: “The rating is based on the financial flexibility of Dani Group companies acting as pledgers of APL shares in the current transaction, the triggers designed to ensure adequate collateral cover and the integrity of the legal structure.” The rating was done in March 2008. The promoter, Ashwin Dani, declined to comment. Clearly, the arrangement between the promoters and lenders was a cosy one until the stock markets began free falling since early 2008. On particularly bad days— and there were quite a few of them—stock prices (of realty firms, for instance) would crash by 30-40 per cent. Such drops eroded the safety margin for lenders, and promoters had little choice but to make good the loan by either pledging more shares or by re-paying a part of the loan. In the event of a default, like what happened with Satyam Computer, lenders dumped the shares in a bid to recover their dues. Similarly, in early 2008, financiers sold shares pledged by the promoters of Orchid Chemicals & Pharmaceuticals in the open market; a chunk of this stock was bought by a company owned by the erstwhile promoters of Ranbaxy Laboratories. If lenders are in a hurry to sell, it’s clearly because of the current tight liquidity conditions. Lenders who have borrowed on short-term basis face more problems if there is default on such loans, points out Naresh Thakkar, Managing Director, ICRA. The lenders’ selling spree hit a peak last October when banks were in no mood to offer short-term credit. This was the time when the share price of many real estate companies plunged and promoters got margin calls for loans against shares. The distress selling by lenders led to losses for mutual funds that had subscribed to PTCs of such companies. Small investors should ensure that companies they invest in have none of their shares pledged. 1 What is the purpose of such loans? 2 Are disclosures of pledging made? 3 What if the promoter defaults? Market experts point out that transactions of loan against shares are more complex to arrange and execute and not all promoters and lenders understand the concept. “You not only have the credit risk of the borrower or the market value risk of the share collateral but there are also other risks to consider such as the execution risks on the monitoring of share top-ups (more pledging by promoters) and legal risks if the promoters’ shares are in a lockin period,” points out Dipesh Patel, Director of Structured Finance & COO, Fitch Ratings. Although there are a few companies that make voluntary disclosures to the stock exchanges whenever their shares are pledged, the Securities & Exchange Board of India (SEBI) hasn’t made such disclosures mandatory. However, as selling by lenders, which is nothing but distress selling, can be an indicator of a promoter’s financial position, institutional investors like mutual funds have raised the demand to make such disclosures mandatory. “The fact that promoters have pledged shares definitely warrants a disclosure to the public,” says CARE Ratings’ Mokashi. Over to SEBI.